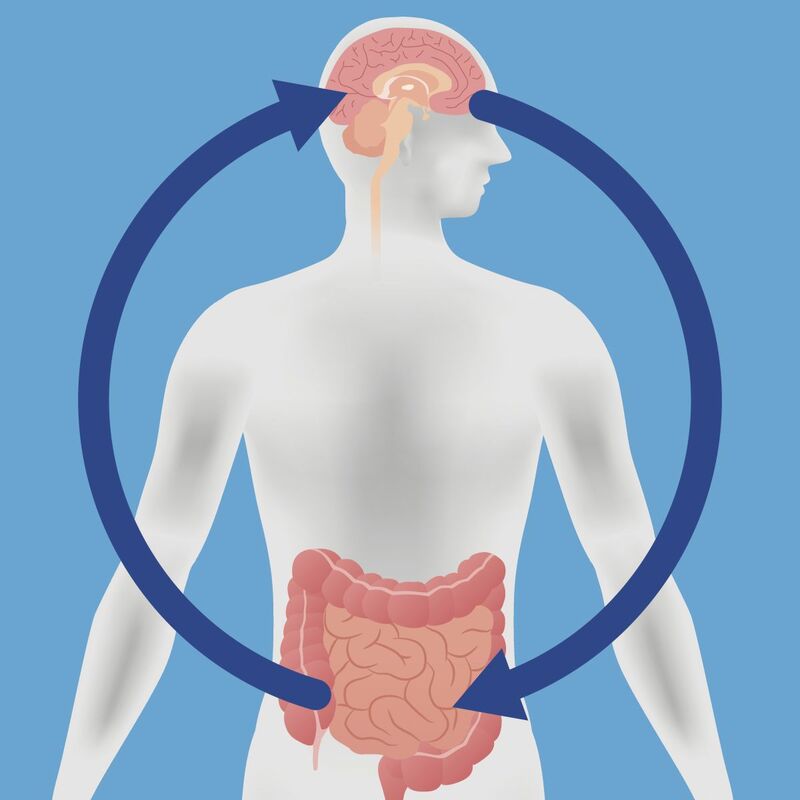 The gut has been called a "second brain" because it produces many of the same neurotransmitters as the brain does, like serotonin, dopamine, and gamma-aminobutyric acid, all of which play a key role in regulating mood. In fact, it is estimated that 90% of serotonin is made in the digestive tract. What affects the gut often affects the brain and vice versa. When your brain senses trouble—the fight-or-flight response—it sends warning signals to the gut, which is why stressful events can cause digestive problems like a nervous or upset stomach. On the flip side, flares of gastrointestinal issues like irritable bowel syndrome (IBS), Crohn's disease, or chronic constipation may trigger anxiety or depression. The brain-gut axis works in other ways, too. For example, your gut helps regulate appetite by telling the brain when it's time to stop eating. About 20 minutes after you eat, gut microbes produce proteins that can suppress appetite, which coincides with the time it often takes people to begin feeling full. How might probiotics fit in the gut-brain axis? Some research has found that probiotics may help boost mood and cognitive function and lower stress and anxiety. For example, a study published online Nov. 10, 2016, by Frontiers in Aging Neuroscience found that Alzheimer's patients who took milk made with four probiotic bacteria species for 12 weeks scored better on a test to measure cognitive impairment compared with those who drank regular milk. It's too early to determine the exact role probiotics play in the gut-brain axis since this research is still ongoing. Probiotics may not only support a healthier gut, but a healthier brain, too. To learn more about the role of probiotics in your overall health, download your copy of The Benefits of Probiotics from Harvard Medical School.